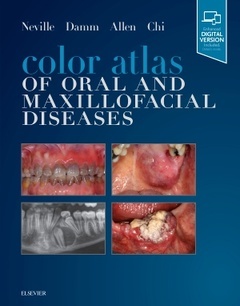 Color Atlas of Oral and Maxillofacial Diseases Neville Brad W., Damm Douglas D., Allen Carl M., Chi Angela C.
Authors: Neville Brad W., Damm Douglas D., Allen Carl M., Chi Angela C.
Add to cart the livre of Neville Brad W., Damm Douglas D., Allen Carl M., Chi Angela C.
Introducing an essential new practical atlas for dental students and clinicians alike!The Color Atlas of Oral and Maxillofacial Diseases provides comprehensive, practical information on the most common oral and maxillofacial diseases and disorders. This new text uses a quick-access atlas format to help you easily look up clinical signs, diagnosis, and treatments. Nearly 750 high-quality images accompanied by brief narratives demonstrate exactly what clinical signs to look for - making an intervention as timely as possible. Written by four of the top dental authorities in the world, this concise resource is sure to become a clinical favorite.